***IMPORTANT: The VXMMI unit comes with the old sytle apple 40 pin connecter cable, therefore we can only confirm compatibility with iPods with the old style connector. For customers with iPhones we can only confirm compatibility with iPhone 3G/3GS/4/4S. 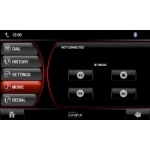 Customers with later models are advised to use the Bluetooth Music Streaming feature. ***While some customers have had success using the official apple lightening adapter with iPhones 5/5S/6/6 Plus. We are unable to guarantee compatibility with later iPhone models. 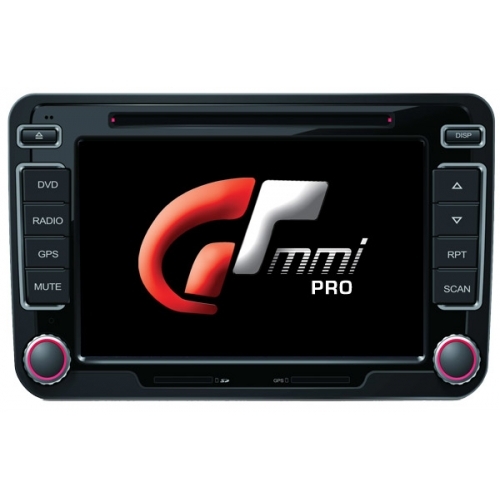 The OEM look is also not compromised at all, CASKA unit's fit smoothly and unobtrusively into your car's original dashboard design. There's no cutting, splicing or modification - just a true Plug & Play installation! 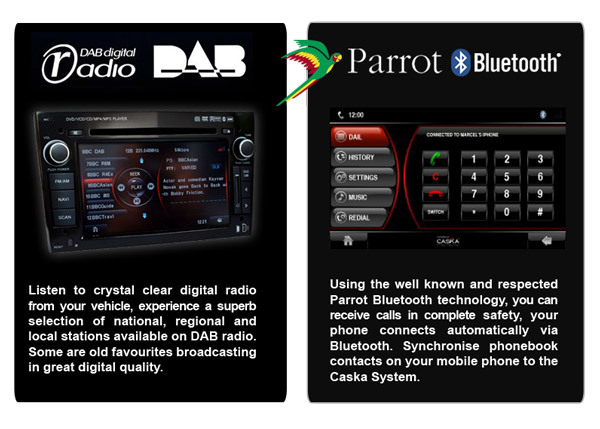 Our CASKA units match the original equipment manufacturer's (OEM) dashboard size, curvature, colour, design and even the colour of backlighting perfectly. 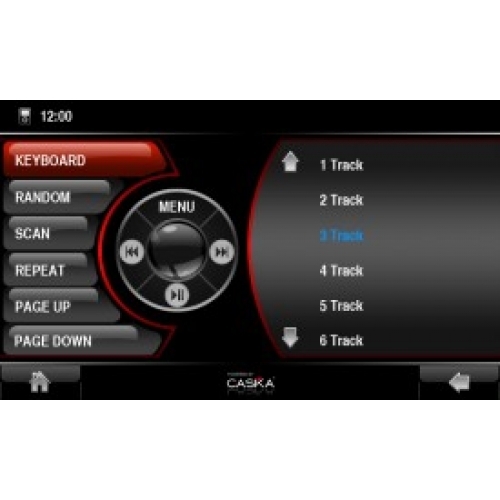 CASKA brings the latest navigation technology into your multimedia unit. Our optional extra Map Software offers superfast 3D representation, extremely straightforward multilingual interface, highly detailed building and POI-database makes it easy to find your way in the world. The daily routine of drop-offs and pick-ups hold few surprises. 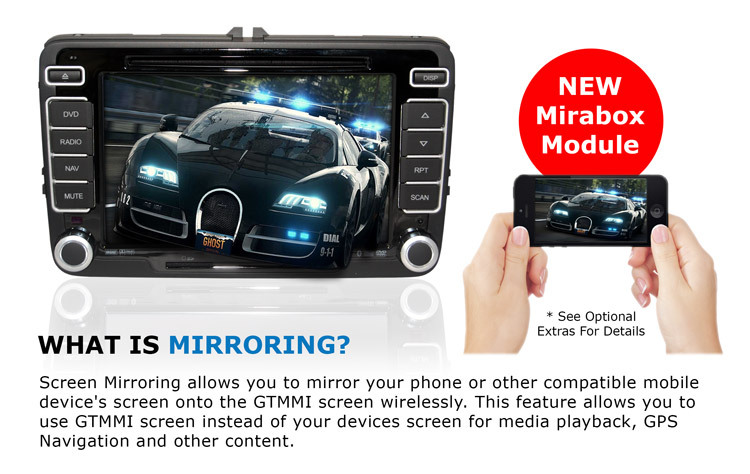 Interrupt the monotony with Headrest Monitors. 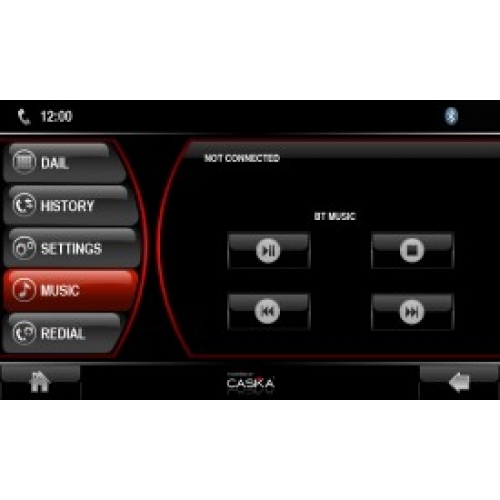 Caska has smart multi tasking capabilities which allows dual zone functionality.The front passengers can listen to the radio or receive sat nav instructions while the rear passengers can watch uninterrupted DVD/TV on the Headrest Monitors using earphones. The optional extra DVB-T Tuner is compatible with MPEG2/MPEG4 formats of most digital broadcasts and comes with two antennas that can be discreetly installed. These antennas allow you to receive the digital signal while driving, however this is dependant on the coverage in your area. Nevertheless with the digital switch on fast approaching your Caska unit can be ready with a DVB-T Tuner. Caska's plug & play nature, and the original fit design makes it possible to be compatible with your car’s CAN-bus system... What does this mean? 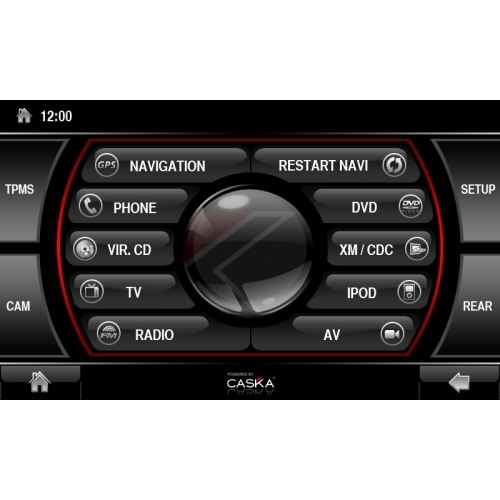 All of the steering wheel control buttons and knobs work perfectly after the installation of your Caska. Allowing you continued control of factory functions plus it lets you handle the Caska’s functions as well. The CASKA Parking Assistant (Optional Extra) allows you to choose from three different modes: only parking sensors, only camera, or both parking sensors and camera. The feedback is both audio and visual. so every time you shift to reverse gear it automatically turns on and provides you information about the surroundings of your car's rear. 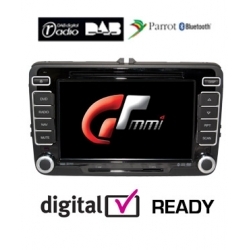 Imagine you're on a two hour journey to visit family, your listening to the radio and occasionally glancing at navigation instructions on your CASKA's screen, while the kids in the back watch digital tv on the headrest monitors. 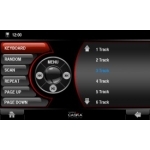 No, this isn't an utopia - it's can be your reality with CASKA, utilising Dual Zone technology, Caska units allow you to send three different sources (TV / Multimedia / Aux input) to back of the car without interrupting your own choice of applications. Our CASKA Multimedia unit is truly multimedia - it handles the main media formats perfectly such as mpeg, mpeg2, mpeg4, both DivX and Xvid avi (all of them with subtitles), Video DVD, Audio CD, mp3, wma, and jpg. 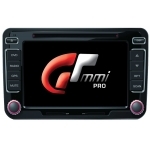 The available media and ports are CD, DVD, USB 2.0, SD, microSD, iPod, iPhone, or any Bluetooth-capable mobile device. The stock CASKA unit comes with 5.1 channel, Dolby Surround decoding, BBE sound enhancing technology. What is more, all of the connected speakers can be adjusted separately regarding volume and tone. The display itself is a masterpiece providing you with outstanding quality in a resolution nearly two times as higher than previous multimedia devices with 800x480 native resolution, 16 million colors and, diagonal up to 8 inches. 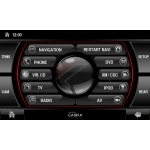 The built-in radio feature offers 24 FM/AM station presets, equalizer display, and RDS. Where available it can show you station's ID or name, the traffic information broadcast via RDS, and various other functions such as PS, PTY, TA, TP and AF. Store up to 6 Discs of music at a time on the Caska's 1Gig Memory. This functionality makes it easier to sort music files into virtual CDs. Just insert a CD, attribute it to a location. 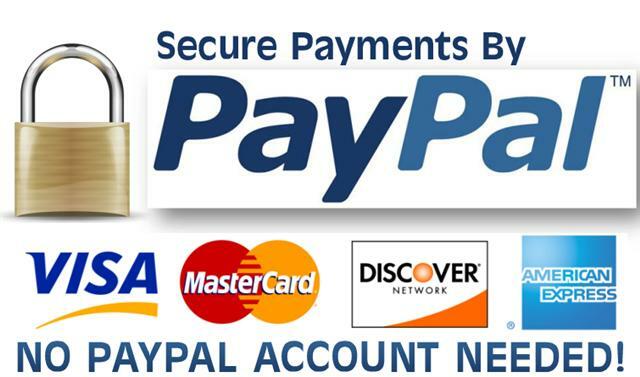 The music is downloaded at high quality navigate to the playlist or album using the Caska operating system.